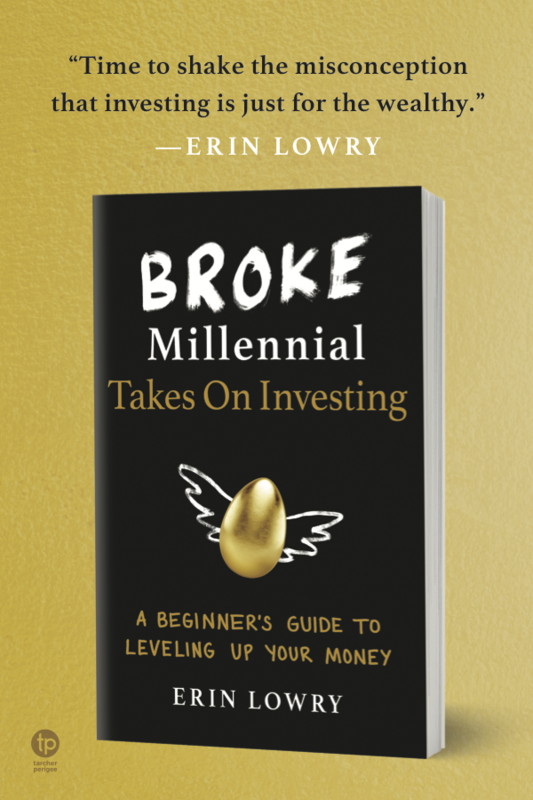 Going out to a meal with friends may start out as jovial time, but it turns into every millennial’s nightmare the moment the waiter leaves the bill. Suddenly, battle lines are drawn and everyone begins their own self-serving calculation for what they owe. One guy claims he never had any alcohol so should pay less, while another says she didn’t touch the appetizers and the man – who ordered two bottles of wine and a steak asks – to just split it evenly. 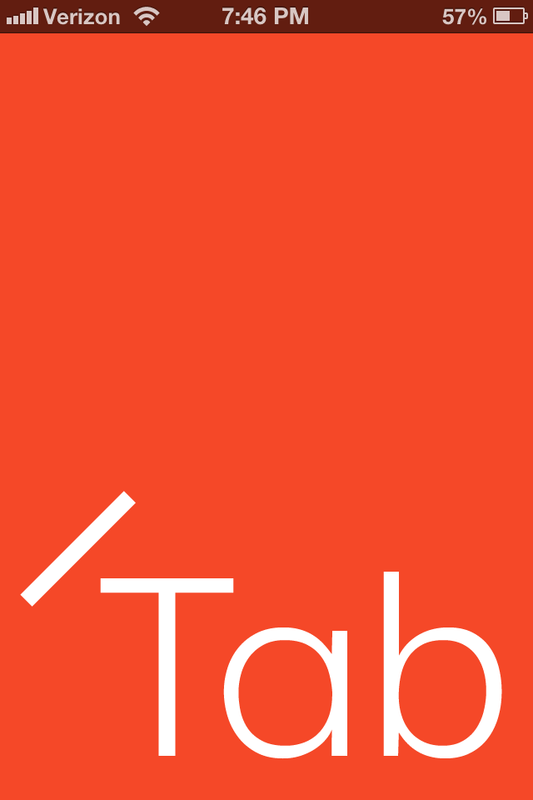 Fortunately, you – always the tech savant – have the app to end all splitting-the-check headaches: Tab. Tab – a free app available for the iPhone and Android – only needs you to snap a picture of your bill in order to start dividing it up fairly. It even (most of the time) adds in tax and tip. After Jeff’s items have been properly allocated, you click +Add to move on to factoring in Jeff’s dining companion, Steve. Don’t forget — Jeff and Steve picked up a meal for Steve’s girlfriend Eva. 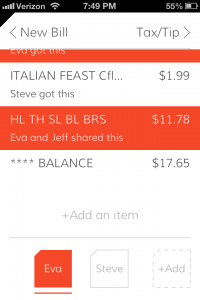 If Jeff, Steve or Eva shared an item you can add a second person’s name to an item to split the cost. This also works if you got two of the same item and need to divide the price. After all the meals have been assigned to Jeff, Steve and Eva it’s time to add tax and tip. Tab defaults to tipping your server at 18% but you can be stinger or more generous by simply tapping of the plus or minus sign next to the 18% at the bottom of the screen. If the restaurant already added in tip, you can type that in and it removes the preset 18% tip. 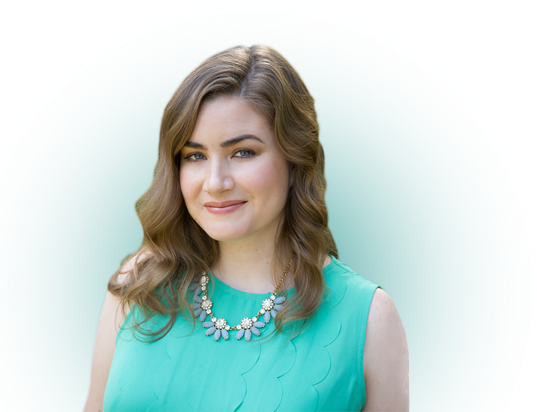 Unfortunately, Tab isn’t always effective with calculating tax and does not have a way to add it in once you’re in the tax and tip portion of the bill. You may have to just divvy up the cost of tax by hand. Another design flaw occurs if you include the “grand total” for the meal in the picture, Tab will pick this up as something that needs to be assigned to someone and calculated — thus doubling the price of your meal because someone has to be assigned the “grand total” as an item. A few kinks aside, Tab does help reduce the friction at meals when it’s time to ante-up, particularly if you have a friend who tends to freeload or conveniently forgets about tax and tip when throwing in his share of the bill. Tab will help keep a few extra bucks in your pocket — unless you’re the freeloading friend! Hmm definitely an interesting app, but I wonder if it’s easy (and quick) enough to use when you are trying to pay a bill – everyone seems so rushed! I haven’t had too much issue with time, but I’ve only used it for about 3 folks. If you have 10 at the table it might take a bit more time. That is pretty bitchin! I’ve learned to ask for a separate check upfront to avoid these situations but this app would definitely help. I usually just get a salad or small appetizer when we go out to eat so I only want to pay for what I order. I hate paying for other people’s expensive items! Sometimes places don’t want to do separate checks in NYC, so it’s a great app for dinners out here. But, it doesn’t work on handwritten bills which a lot of the places I frequent tend to use. That definitely seems handy! If only restaurants would start bringing out the check on an iPad with a similar software loaded so people could split it however they wanted right on the check! It could also have a card swipe attachment so people could pay right there as well! We have the technology! We just don’t implement it. It seems only a matter of time until all bills are on iPads. I’ve seen a place smaller restaurants doing the iPad route, at least for taking the order. Lucky you for never having issues! My biggest problem is going out to birthday dinners for a friend when I don’t know a bunch of the people in attendance. Always awkward to throw down over not splitting it evenly when you aren’t familiar with a lot of the party. Pretty cool app. For the most part, we just split it evenly but separate the alcohol because that really increases the bill. I like using this app though because I often order something less expensive while many order much more expensive things, as well as appetizers/desserts. Makes things more fair this way. Agreed! Always uncomfortable to be the stick-in-the-mud who nitpicks. This app just kind of does it for you! I love the concept of an app taking the discomfort from splitting a tab, it just seems like a lot of steps, especially when people have been drinking. But I am going to try it out. Sounds like a great app. Most places we go to can split the bill, but that’s probably because I’m in a smaller city whereas NYC seems like they have more hole-in-the-wall places that might make it hard to split the check. I will have to check it out now that I have a smartphone. They really do have an app for a lot. Unfortunately, I’ve had more than one waiter not be willing to split the check. 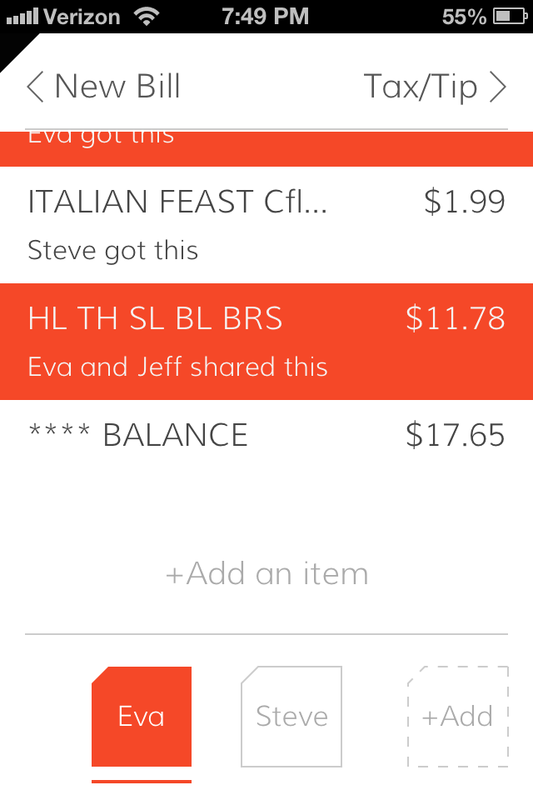 Nice that you’re able to frequently get the check split for you. And yup, it’s free! I’ve never paid for an app. This sounds awesome! Going to download it now. Thanks for sharing! Interesting! In the midwest, it seems like splitting bills is not the norm (I’ve only once ever done it, and it was in Chicago). We always just get separate bills. I wish they just handed over separate checks! Good to know! If I’m dining with one friend, I often pick up the whole tab and we agree that she’ll pick up the next one. I’m blessed with friends who keep their word and have a good memory, I guess! That’s such a lovely concept! Nice to have such a good group of friends. I would feel comfortable doing that with some of my close friends, but not just going out for a birthday dinner or with acquaintances. I usually try to mention the tab is going to be split up front if that’s the case. Even if we forget, we just get the server to do it after the fact. This way everyone gets their own individual bill and there is no arguing over who pays what. I do if it’s a smaller dinner party. I’ve had servers say no up front though…always a pain when that happens. Hmm interesting! Would probably work here since we don’t tip or add taxes at the end. But bill splitting here is pretty straightforward – they itemise the bill and then you just tell them what items you had. Easy peasy. LUCKY! Do waiters get paid well then if there is no tipping? Nice! I’m going to use this app for me and my friends..
I’m so glad you shared this. I’m over the uncomfortable bill splitting conversations and grown people’s inability to do basic math at the end of a meal. This app looks awesome – I’m definitely downloading soon and giving it a try. My friends and I always bump into awkward money situations when splitting the tab. Hopefully this can help us avoid that. 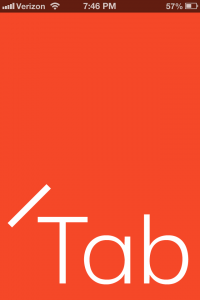 Hey there, I’m one of the creators of Tab. We came across this piece a little late, but we’re glad you enjoyed the app and just wanted to address a couple of the issues you encountered! If items are ever read incorrectly, or things are added that shouldn’t be (e.g. the total at the bottom), you can swipe left on them to delete or edit as needed. Similarly, in cases where the tax amount isn’t detected properly, you can swipe left on the tax row and enter the appropriate amount manually. Hope this helps! Thanks again for the coverage, and let us know if you have any other questions or suggestions.